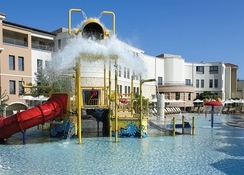 Atlantica Sensatori Resort is located right on the sun-kissed beach of Lyttos, on the northern coast of Crete. It's a calm location just 5-minutes from the nearest village of Analipsi, but if you want a change of pace, lively Hersonissos is less than a 10-minute drive away and you're within close proximity to Heraklion city centre, too. The rooms here are luxurious and range from doubles to family rooms and suites, most of which have beautiful sea views, private pools, or swim-up entrances. The resort caters to every type of traveller, with classy fine dining, a lavish spa, sports facilities, a gorgeous beachfront location, lagoon-style pools, and above all, fantastic Greek hospitality. While adults can relax at the world-class spa, children can check out the watersports at the on-site diving centre. - if you have little ones with you, there is a children's club and kids' pool that comes with water slides. 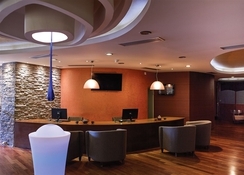 The Atlantica Sensatori Resort's closest airport is Nikos Kazantzakis International Airport, 23km away. 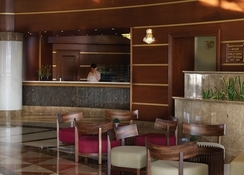 Atlantica Sensatori Resort is set on the golden sands of Lyttos beach on Crete’s northern coast. The quiet village of Analipsi is just 5 minutes’ walk away from the resort, which is an ideal spot with bars and taverns dotted along the main street. Better still, lively Hersonissos is just up the road if you want more buzz and the historical city of Heraklion is just a 30 minutes’ drive from the resort - great if you like to explore during your holidays to Crete. 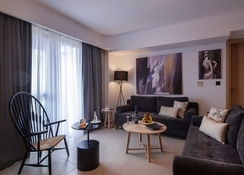 Rooms at the Atlantica Sensatori Resort come with air-conditioning and a balcony or terrace. Whether you choose a double, family room or a suite with a private pool, the resort offers unmatchable services and facilities. You can upgrade to a family room or swim-up family suite, meaning you'll have an extra room with a lounge area to enjoy too. Other upgrade options are available including sea-view rooms, swim-up access, or a private pool. 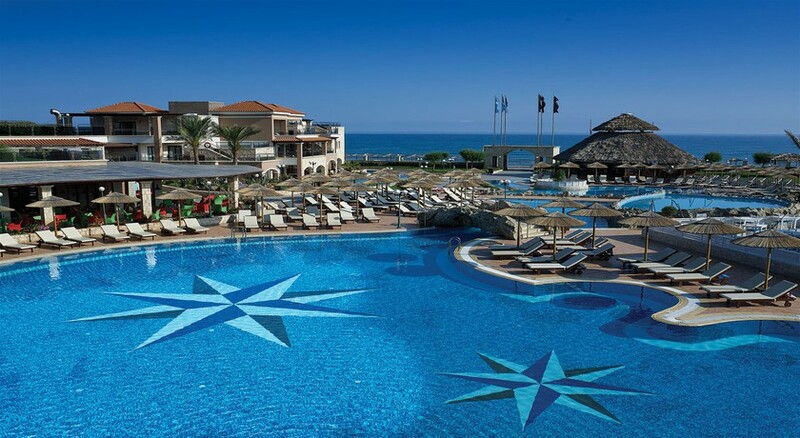 There are 12 exotic restaurants and bars in Atlantica Sensatori Resort Crete. The main restaurant of the resort comes with buffet stations, live cooking and kid’s dishes, plus an adults-only section. Head to Red Saffron, a modern tavern for an al-fresco treat. 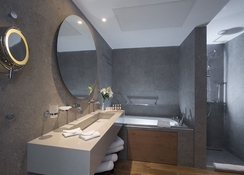 Other speciality restaurants include Tex-Mex, Five Flavours Thai, Aroma Stone Grill, and a fine dining eatery called Al Dente, where the menu is designed by a Michelin-starred chef. There are a few lively bars featuring an interesting menu of light snacks, cocktails and mocktails, too. This luxurious resort is packed with a plethora of sports activities including archery, snorkelling, volleyball, Zumba, watersports and more. The entertainment programmes include activities during the day and evening, including live performances you can watch with a glass of wine after dinner. The resort also features six swimming pools, two of which are adults-only and are surrounded by calm sunbathing spaces and hot tubs. There is one fun splash area for kids too, complete with whacky tipping buckets and water jets. · 5-minute drive from lively Hersonissos. · 25-minute drive from Heraklion Airport. · A handful of cafés, bars and beach shops in Analipsi.